Premise- A team of four contestants attempts to build their bank by each contestant playing two quiz rounds: the Speed Round and The Chaser Round. In the Speed Round, the contestant has 60 seconds to answer as many questions as possible, with each correct answer worth £1,000. After the Speed Round, the contestants then compete with The Chaser in a head-to-head quiz round in The Chaser Round. The contestant’s money won in the Speed Round is now placed three steps down on an eight-step board. The contestant is given the option to either be placed on that step to play for their original bank (three steps behind The Chaser), placed one step lower for a smaller reward (four steps behind The Chaser), or placed one step higher for a much higher reward (two steps behind The Chaser). Each money reward value is set by the Chaser. 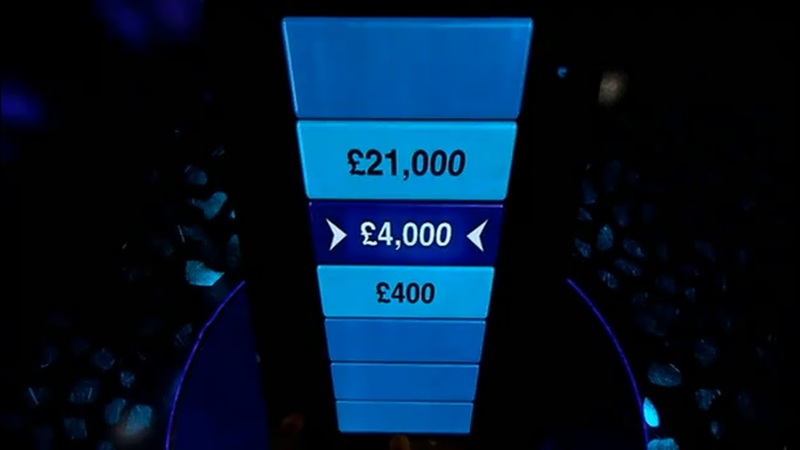 The object of this round is for the contestant to move ‘home’ by reaching the bottom of the board before the Chaser catches them by answering a series of multiple choice questions correctly. A correct answer moves the contestant and/or Chaser one step closer while an incorrect answer keeps the contestant and/or Chaser frozen at their space. If a contestant gets caught by The Chaser before they reach ‘home’, the contestant is eliminated from the game and loses their winnings. If the contestant can reach ‘home’ before they are caught, their winnings are added to the team bank. If all four contestants are caught by The Chaser, the team bank is automatically set at £4,000 and one contestant is selected to face The Chaser in The Final Chase round. 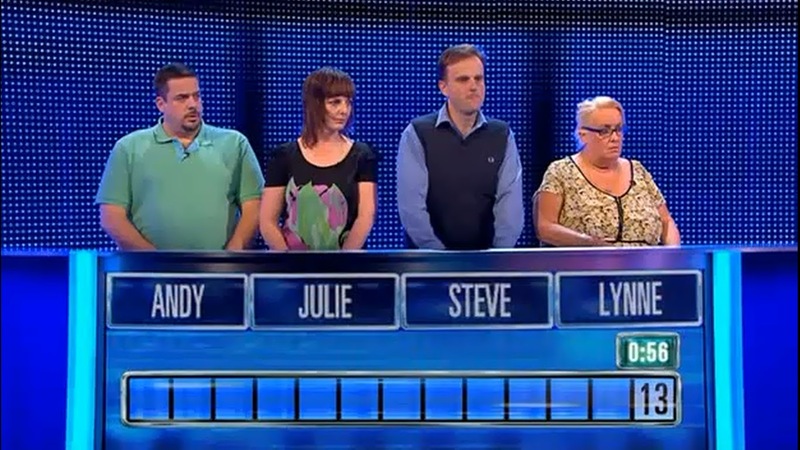 The contestants who survived The Chaser round advanced to The Final Chase round. In The Final Chase, the remaining contestants will have two minutes to answer as many questions as possible to attain as many steps as possible. The team will have up to a four steps as a head start, depending on how many contestants are left in the game. The Chaser will then have two minutes to catch the team by answering questions correctly. If The Chaser answers any question incorrectly, the team has a chance to send The Chaser back one step. If the Chaser can successfully answer enough questions correctly to catch the team, the team walks away win nothing. Otherwise, the team wins their bank and splits the winnings among themselves if more than one person is on the team. I have always thought that today’s British game shows are more creative and often times better than most of the U.S. game shows today, even though most of the U.K. shows are low-budget compared to our standards. This show is no exception with its fast-paced, challenging, exciting, often times nail-biting gameplay. The Chase reminds me of a more intense version of Win Ben Stein’s Money and Beat the Geeks. This game is all about knowledge, speed, a little bit of confidence, and teamwork. It has been a while since I have seen a quick-fire trivia game show today besides Jeopardy! I also like the motley crew of contestants assembled for each show. The contestants on the show are not super smart, smug, ‘know-it-all’s nor are they over-exuberant idiots, but are just simply ‘average Joes’ who come from all walks of life. As for The Chasers, I like the people the show selected to pose as The Chasers and how they regularly rotate The Chasers for each episode, even though most of the episodes I have seen featured the show’s favorite Chaser, Mark “The Beast” Labbett. The other three Chasers are Anne Hegerty (“The Governess”), Shaun Wallace (“The Barrister”), and the newest Chaser Paul Sinha, who will debut in the show’s fourth season. Each of the Chasers live up to their names and nicknames and do not fool around or waste time when it comes to answering the questions. I also like how the show put the Chasers in control of the higher and lower dollar amounts on the game board to have a little bit of fun at the contestants’ expense by enticing and teasing them a little bit. Switching gears now, Bradley Walsh is an excellent to host for The Chase. For the most part, Walsh sticks to protocol, but sometimes has his hysterical moments where he comes across an “interesting” question or whenever a contestant makes a humorous comment (It’s even funnier watching him trying to contain himself). Other than that, he does an excellent job with hosting the show. 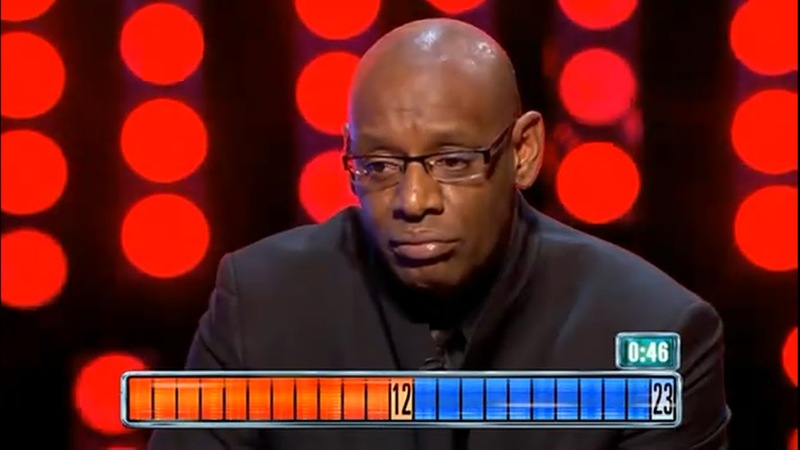 In the three seasons the show has been on the air, the show has had its share of memorable and priceless moments including one contestant who plays the Chaser Round for –£2,000 and whose teammates cheering against him during his game and when Walsh completely loses it when he is approached with a contestant such as Keith is in this clip. As unforgettable as these moments are, the highlight of each show are definitely The Final Chase rounds. Each Final Chase I have seen on YouTube have yet to disappoint me as each one is exciting, quick, intense and nerve racking at times. The only problem I have with the Final Chase round is that the Chaser is asked a different set of questions than the contestants. I believe that the Chasers and contestants should be asked the same set of questions to keep the game fair and balanced as in the previous rounds. 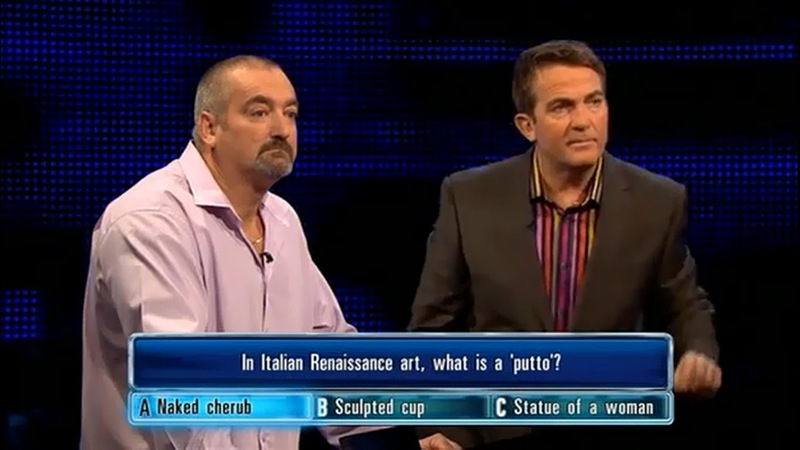 As smart and intelligent as The Chasers are, it is entirely possible that they might receive an easier set of questions than the contestants are receiving. Overall, The Chase is a terrific and well executed game show and I am looking forward to seeing new episodes from the upcoming fourth season posted on YouTube, since the show does not air in this country. On a quick end note, I would love to see Ben Stein or Ken Jennings go head-to-head against The Chasers.